Gold loan has become popular form of borrowing in recent years. This is proved by the fact that Banks and non-banks are currently dishing it out at the rate of 1,20,000 new loans a day! At last count, the business was reckoned to be worth Rs 80,000 crore and growing at the rate of over 70% for non-bank finance companies and around 35% for banks. 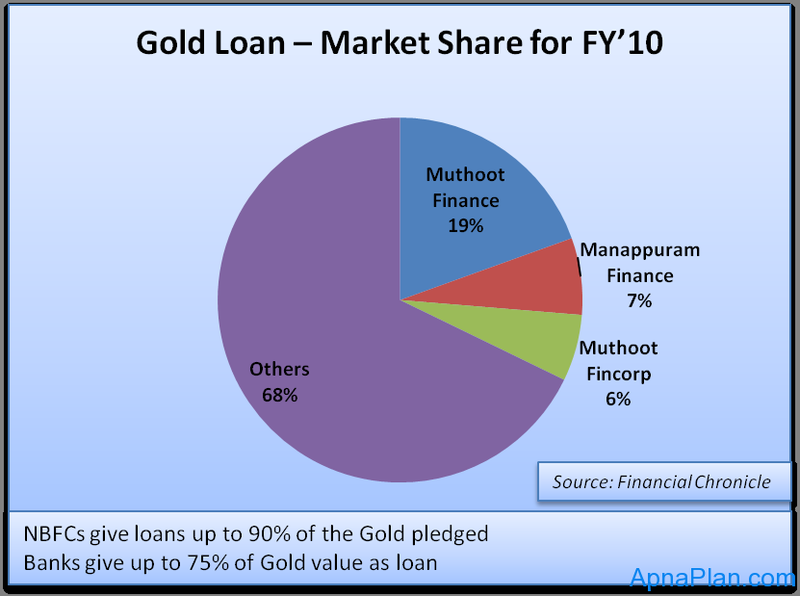 Looking at such sharp growth and high concentration risk due to fluctuation in Gold prices, RBI (Reserve Bank of India) has stepped in with some new regulations for all Gold loan NBFCs (Non Banking Finance Companies) like Manappuram Finance and Muthoot Finance. Gold NBFCs can only lend against gold jewellery. They can no longer consider against bullion, primary gold and gold coins for gold loans. The amount of gold loan cannot exceed 60% of the value of gold jewellery. The banking regulator has directed that companies having half their assets in gold should have a minimum equity capital, or tier-I capital, of 12% by April 2014. It is also expected that the Reserve Bank of India may also cap the rates at which they offer gold loans to customers to minimize the risk in lending at such high rates. Check the Best Gold Loan Rates here.